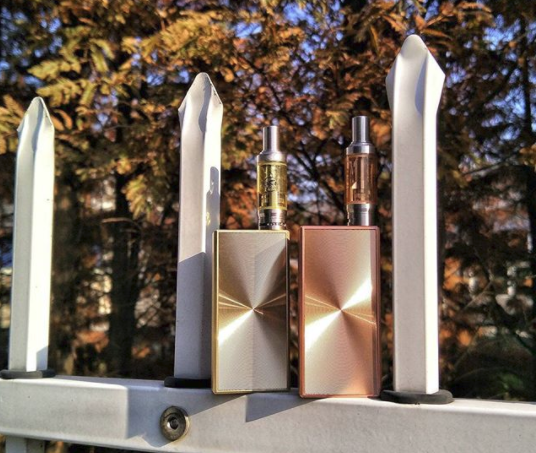 Home > basal Kit > Eleaf > Starter kit > vape kit > vape life > Vaping > Eleaf BASAL Kit, You Deserve It! Nowadays, more and more people choose electronic cigarette rather than traditional cigarette because the former is healthier than the latter. Electronic cigarettes present a newly and stylish, as well as healthier lifestyle for smokers. A good writer needs some fantastic materials if he wants to finish an excellent book. You, as a smoker, must possess good equipment, if you want to have a wonderful vaping experience. No matter you are a sophisticated member or a new comer in vaping world, you must know the brand Eleaf, which has been providing smokers with diversity products considering E-cigarette. Recently, Eleaf launched a new product BASAL Kit, which has been attracting many vape enthusiasts' eyes since it came to the world. WHY IT APPEALS TO PEOPLE SO DEEPLY? As an enthusiastic smoker, you may are in great demand to enjoy vaping at any time or at any place. Eleaf BASAL Kit will satisfy you undoubtedly because it is ultra-thin but has a remarkably compact, making it portable and easy to store in pocket. Pick it from your pocket, lit it up, then begin your nice travel in vaping world. You may be bothered by the long time for charging when you use a vaping machine. For solving your problem, Eleaf BASAL Kit, with 1500mAh internal battery, can output 30watts and has 2A maximum current for quick and efficient recharging. Less time for charge, more time for enjoying. A good reader needs a good book. A tasteful smoker needs a tasteful Eleaf BASAL Kit.